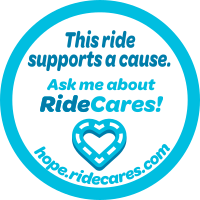 25% of your tips are donated to Complex regional pain syndrome! I drive for Complex regional pain syndrome because I was diagnosed in 2013, following an ACL replacement of my knee. I have met others since, suffering this rare disease and am determined to help spread the word so we can find a cure. 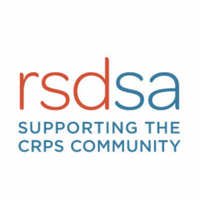 The Reflex Sympathetic Dystrophy Syndrome Association (RSDSA) was founded in 1984 to promote public and professional awareness of Complex Regional Pain Syndrome (CRPS), also known as Reflex Sympathetic Dystrophy (RSD), and nicknamed "The Suicide Disease". Our mission is to provide support, education, and hope to everyone affected by the pain and disability of CRPS/RSD while we drive research to develop better treatments and a cure. CRPS occurs when the nervous system and the immune system malfunction as they respond to tissue damage from trauma. The nerves misfire, sending constant pain signals to the brain. The level of pain is measured as one of the most severe on the McGill University Pain Scale. If you wish to make a contribution to Complex regional pain syndrome, please use the button below. Thanks for making a difference! Please click here if you'd like to make an additional contribution directly to Complex regional pain syndrome. Please use the links below if you'd like to make a contribution to Complex regional pain syndrome.